GULF FRONT & Perfect Low Density 1 bedroom, 1.5 bathroom plus bunk beds in the hallway which maximizes rental numbers! Great Investment!! 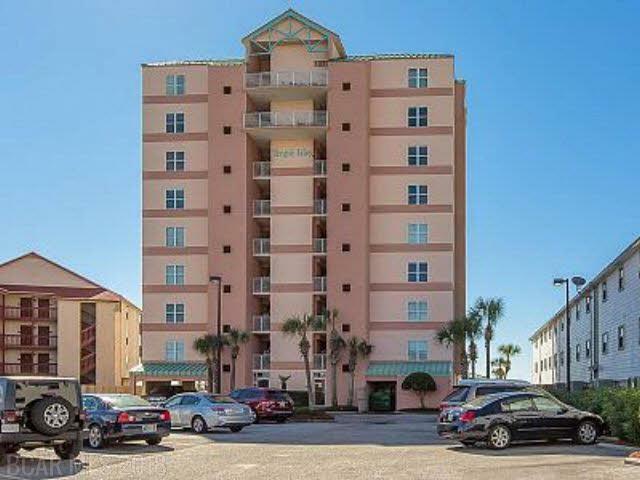 right in the middle of Gulf Shores and close to all of the attractions. This is one of the few units that has a DEEDED covered parking space! Great outdoor pool facing the gulf. Enjoy a cup of coffee, while watching the waves from your balcony! Listing provided courtesy of Realty 1st. Listing information © 2019 Baldwin County Association of REALTORS® MLS.